Jack Reinheimer cleared waivers and was sent to Triple-A Norfolk on Thursday, Jon Meoli of the Baltimore Sun reports. 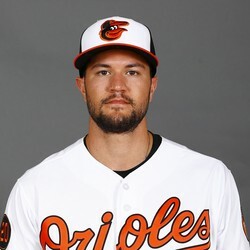 Reinheimer, who was claimed by the Orioles in late January will remain in the organization as part of their Triple-A team. He hit .167/.286/.167 in 21 games in the majors last season.